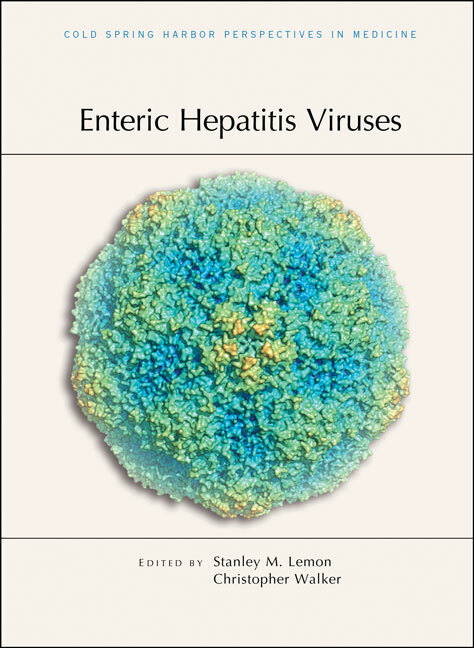 IMAGE: The cover image depicts a nonenveloped (naked) hepatitis A virus (HAV) capsid. The structure was determined by X-ray crystallography. This surface-rendered representation is viewed down the five-fold axis of symmetry and radially depth-cued from blue (innermost) to red (outermost).